The Annunaki who actually came from Sirius but are attributed to having come from Nibiru were out on an intra-gallactic ‘walkabout’ when some had the misfortune of crashing onto Earth. Finding it a resplendent locale, rich in divers minerals, they decided to colonize. They, being all smartypants, mined said minerals for thousands of years because they found that gold, in particular, was a magnificent conductor of energy, allowing them to maintain phenomenal longevity (upwards of 1000 years), increase their survival rates with its healing properties, and look cool as they bedecked themselves. Some of the more entrepreneurial hatched a scheme. If they could mix some of their stellar DNA with the hominids scattered about, they could create a humanoid chimera who would be smart enough to do this mining work for them and would surely not mind doing so. So the Annunaki created what became humans so that they could then devote their time to more important matters like sinking Atlantis in a sound experiment that went horribly awry. Don’t know about you, but that sent the story-teller in me into a warren of bunny trails from which I may never emerge. Biblical narrative, global themes of giants and vampires–not really so much about gold except that is a backdrop for funding the entire plot. I’ll keep you posted as I find more. 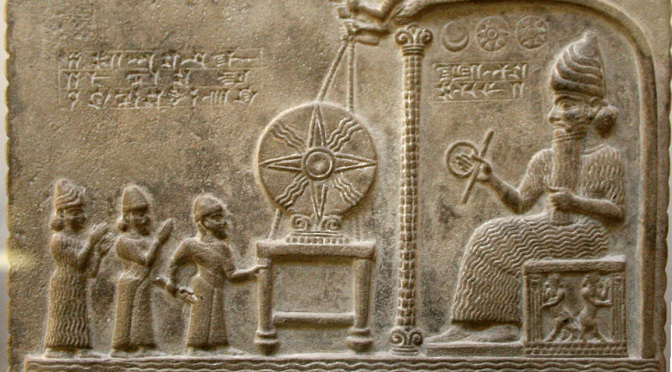 In conclusion, the net net of today’s research finds that according to Sumerian legend, ancient metallurgy began for humans shortly after they were chimera-ated into gold-mining sherpas for the ancient race of marooned space mauraders. 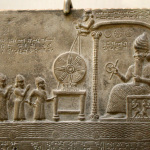 Insert Joseph Campbell’s anthropological treatise on human archetypes and one could create a veritable tome, comparing the Biblical narrative with Sumerian legends and drawing conclusions that apply to prophetic writings that span the globe as well as well as to debates about the metaphysical. For Pete’s sake, have a glass of wine and manifest anticipation as we make our way to the more authorized version of the human-to-precious-metals connection, etc. Bonus: according to my online source (Internet: the fount of ALL that is true), the 2012 Mayan Calendar / Zombie Apocalypse is a ruse, so at least you can let your hair down on that one!